Bernard Poulet is former chief editor of the French economic monthly L’Expansion. There he was also head of the Expansion thinktank. Poulet was previously editor-in-chief (1998-2001) of the political and social affairs weekly Courier International. He also spent more than 10 years at L’Evénement du Jeudi in various positions, from head of the foreign desk to deputy editor-in-chief and finally editor-in-chief of the current affairs weekly. Prior to that, his career took him from South America to the Middle East, working in both print and television. He holds degrees in history and sociology from the Institut d’Etudes Politiques. 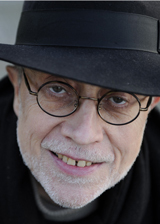 Bernard Pulet is board member of the European Press Prize.